The university has recently reached an agreement with Winston-Salem First to purchase the church’s property, which is situated less than a mile from the Reynolda Campus on University Parkway. According to Katie Neal, assistant vice president of news and communication, the sale will be finalized in late spring or early summer. Despite the purchase officially taking place before the end of 2019, the university does not have any immediate plans for the property. In an official statement published on their website, Winston-Salem First stated that they have at least three years to remain on the land to find a suitable location closer to downtown. President Nathan O. Hatch explained that the acquisition of the church is part of a long term strategy and will “give [the university] a reach to make a more integral campus.” Neal stated that the property will be included in future planning efforts. The decision to buy Winston-Salem First follows the $28.42 million purchase of Deacon Place, a housing facility that is only a three-minute walk from the church, last December. “Given the proximity of Winston-Salem First and Deacon Place to campus, we had to consider the opportunities to purchase these properties when their owners approached us about them,” Neal said. When Winston-Salem First announced the agreement to sell with the university, they also separately disclosed the decision to end funding for the Winston-Salem Christian School (WSCS). According to their official statement, the Board of Trustees made the choice to stop their financial support of WSCS independently from the selling of the property. With no financial backing from the church, WSCS is working to refigure their future plans. Wolfe said that he reached out to the university, in hopes that they would extend an agreement similar to the Church’s postponed relocation plan. According to Wolfe, Executive Vice President Hof Milam offered to meet on Monday Feb. 4 to further discuss the school’s future. WSCS is also looking at a location on Patterson Avenue, but Wolfe explained that the building, offered by another local church, is in need of $500,000 in renovations to be ready for the 2019-2020 school year. A gofundme.com page was created Jan. 24 with the goal of raising $500,000 for the school “to remain operational” for next year. The campaign has received a total of $20,935 from 95 donations. 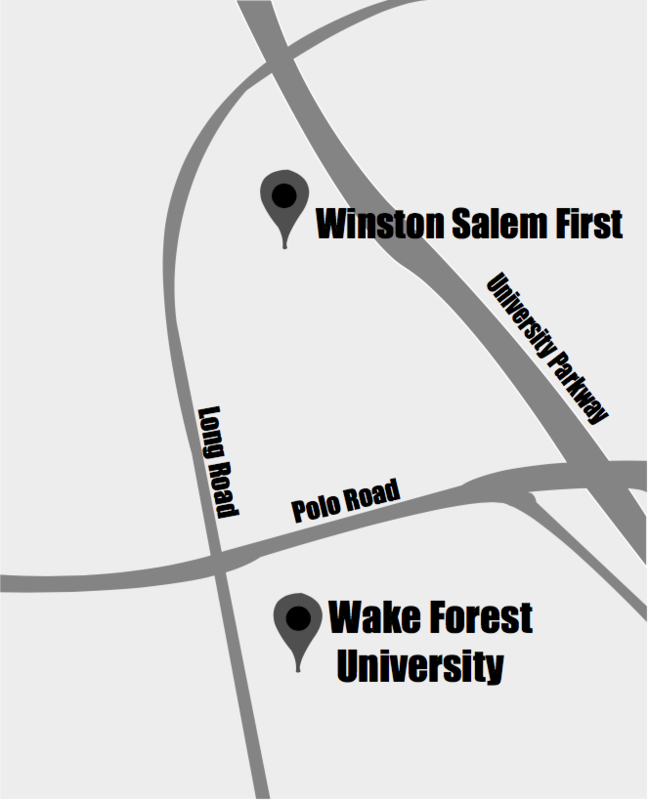 Winston-Salem First’s decision to sell reflects their interest in creating deeper connections with the Winston-Salem community, as they are moving with the goal of “provid[ing] a space where [they] can better serve and minister to the Winston-Salem community.” Wolfe also expanded upon WSCS’s role in the city. According to Neal, the university is open to discussion about the school’s presence on the property.